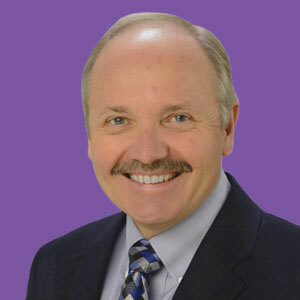 As chief medical officer of Advanced Recovery Systems, Dr. Wandler creates and applies evidence-based practices to treatment programs and ensures that each facility provides superior client care. Dr. Kevin Wandler is the chief medical officer at Advanced Recovery Systems. He has more than 30 years of experience in addiction medicine and more than 20 years of experience treating eating disorders. He received his undergraduate and medical degrees from the University of Iowa Carver College of Medicine. After working in substance abuse treatment for several years, he became the medical director at Remuda Ranch, an eating disorder treatment facility in Wickenburg, Arizona, in 1995. Under his direction, the program grew from 20 beds to more than 150 beds. Wandler was the founding medical director of the Eating Disorder Recovery Center at the University of Florida, which opened in February 2012. In June 2013, he collaborated with a private investment group to start The Recovery Village, a substance abuse and eating disorder treatment center in Umatilla, Florida. He served as medical director for the facility until October 2013. After returning to Remuda Ranch as its medical director, Wandler became the chief medical officer for Advanced Recovery Systems in May 2015. In this role, he creates and employs proven models of therapy while ensuring that ARS facilities are providing excellent client care. A national leader in substance abuse treatment, Wandler has served as a keynote speaker on topics such as substance abuse and eating disorders for audiences around the world. He has helped launch seven ARS treatment centers across the United States. From 2015 to 2016, Wandler served as the president of the International Association of Eating Disorders Professionals. He is professionally affiliated with the Academy for Eating Disorders, the American Psychiatric Association, the American Society of Addiction Medicine and the Florida Society of Addiction Medicine.